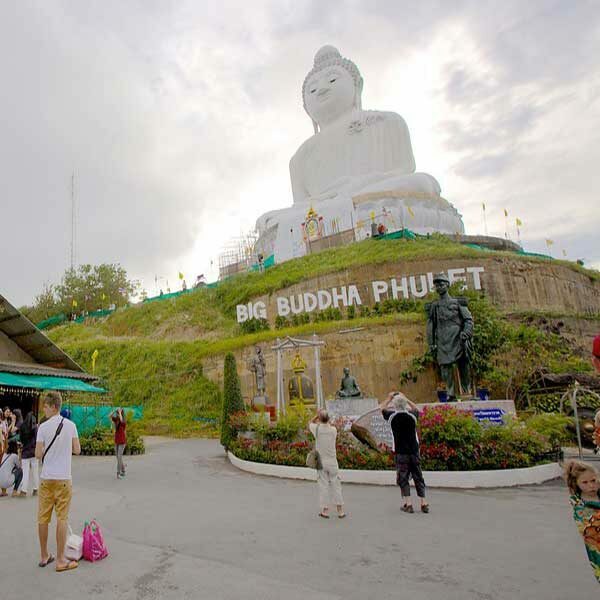 This is another combination package of a large number of great pre made holiday packages in Phuket, check out our Cheap 3 day 2 night holiday package Phuket no.3. On day 1 we will meet you at the airport when you arrive and transfer you to your hotel where you can check in and relax for the rest of the day. 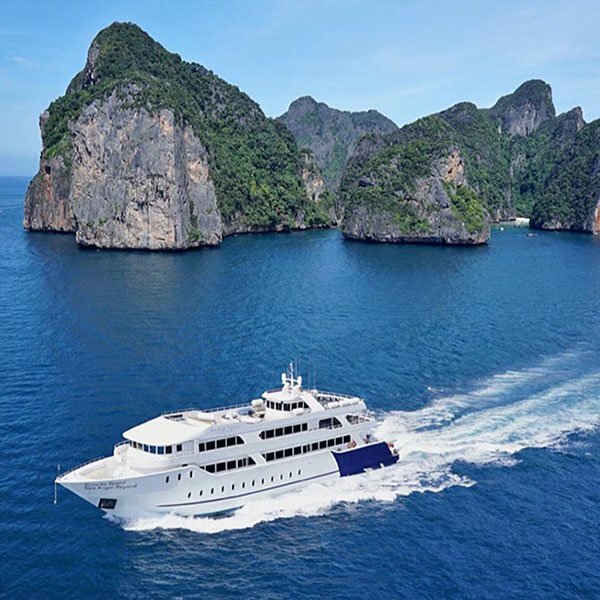 After breakfast On Day 2 you have an early start and then meet your transfer in your hotel lobby and be taken to a Koh Sirey Pier where you will board the luxury ferry yacht and travel to the Phi Phi islands. Finally on Day 3 you can enjoy breakfast at your hotel and get ready to be picked up for your private City tour of Phuket followed by transfer to the airport. – Arrive at the hotel and Check in, relax at your leisure time. One Day Trip Phi Phi Island by bigboat (Silver Seat). 07.00-07.10 am. Pick-up from your Hotel. 08.00 am. Check in. have some tea or coffee at Koh Sirey pier. 08.30 am. Departure for Phi Phi Don Island (The main Island) by the luxury ferry yacht. 10.15 am. Arrive at “Tonsai Pier” directly, Dropping one-way and round trip travelers to Phi Phi Don Island. Package tour one day trip travelers change the boat for sightseeing and snorkeling. *Remark due to Maya Bay is located at reserved coral area, cruise or big boat are not allowed to go to Maya Beach. 12.45 pm. Enjoy lunch with international buffet lunch at Areeda Restaurant on Phi Phi Don. 14.30 pm. Departure from Phi Phi Don Island. Pick up from Hotel – Private City Tour Phuket – Transfer to Phuket Airport. – Check out, and Be ready for the pick up of hotel. *For this private city tour you also can talk to us about going to different places than what we have listed below. *Restriction: Minimum 3 consecutive night stay required in peak season during 24 Dec 2018 – 10 Jan 2019. One day trip Phi Phi Island by bigboat + Lunch. National Park Fee at Phi Phi Island for 2 pax. Here is our Cheap 3 day 2 night holiday package Phuket no.2. Starting with our basic pricing you can choose to upgrade this package according to your budget and your holiday requirements, check out the details below and talk to us about making you a custom holiday package in Phuket.